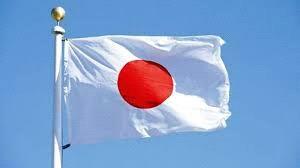 AMMONNEWS - Jordanian-Japanese Parliamentary Friendship Association chairman MP Hussein al-Qaisi said Jordan has "strong" relations with Tokyo. During a meeting with the Japanese ambassador here, Hidenao Yanagi, on Thursday, al-Qaisi reviewed the burdens Jordan is battling as it has already received waves of Syrian refugees despite the limited resources. "Jordan is one of the first countries to receive influxes of Syrian refugees, and offered what it can despite the crises it is going through," he said, and regretted the international community's stance to capitulate on assisting the Kingdom. This decision comes within the framework of the pressures on Jordan to give up its pivotal role towards the Palestinian cause, he said. In turn, Yanagi praised Jordan's efforts towards the Syrian refugees and the services provided to them in this context, stressing his country's continued assistance to the Kingdom to maintain its humanitarian duties. A number of Japanese officials visited the Za'tari camp and learned about the reality of the services provided to the Syrian refugees, the envoy said. He praised Jordan's role under the leadership of His Majesty King Abdullah II in the region's stability, especially in supporting the Palestinian cause.